Often referred to as the city of senses, Brisbane is the perfect location for an Australian getaway. By booking tours, you’ll get to know Brisbane inside and out as you visit the top Brisbane tourist attractions and hidden gems the locals love. Whether you’re embracing the playful side of the city or exploring the natural wonders, you’ll have a unique and unforgettable experience. Tours of Brisbane allow you to seek adventure, relax in luxury or welcome the arts and culture of Brisbane. Your options are endless! We provide tours to the top Brisbane tourist attractions, each offering an abundance of things to do. A few of our top picks for tours of Brisbane include climbing the Story Bridge, viewing the city from above in a hot air balloon or cuddling up with koalas at the Lone Pine Koala Sanctuary. You’re even able to feed the dolphins and take a Magical Mystery tour to view the magnificence of nature. With it’s ideal location, there are many outdoor things to do in Brisbane. Walk down the carefully planned trails and little villages to the river’s edge, or take a stroll through the trees with an O’Reilly’s Tree Top Walk. Our tour options, including Bushwhacker Ecotours, Tamborine Mountain and Canungra Valley Vineyards, allow you to connect with nature. Our nature tours aren’t just limited to land, but there are many exciting water tour options too. From cruises to Dolphin Wild Island Cruises to Kookaburra River Queens, there’s an option perfect for you! If you want to break away from the top Brisbane tourist attractions for a more laid back or cultural experience, there are even tours of Brisbane for you. Visit the many art and cultural locations for a bit of history and more about the local lifestyle. 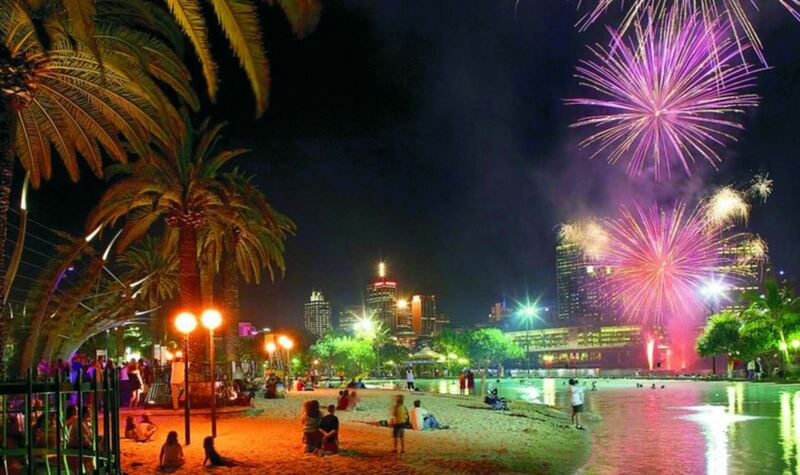 Or, check out the finest entertainment in Brisbane, including theme parks and annual events. If you need a more relaxing time, head to one of the many spa and wellness locations or relax over a fine meal and wine. There are even winery tours! No matter if you’re visiting the top Brisbane tourist attractions or visiting a local treasure, there’s a tour package that’s perfect for you! Book your tours of Brisbane today!